This novelty music maker was like a kazoo for your nose. 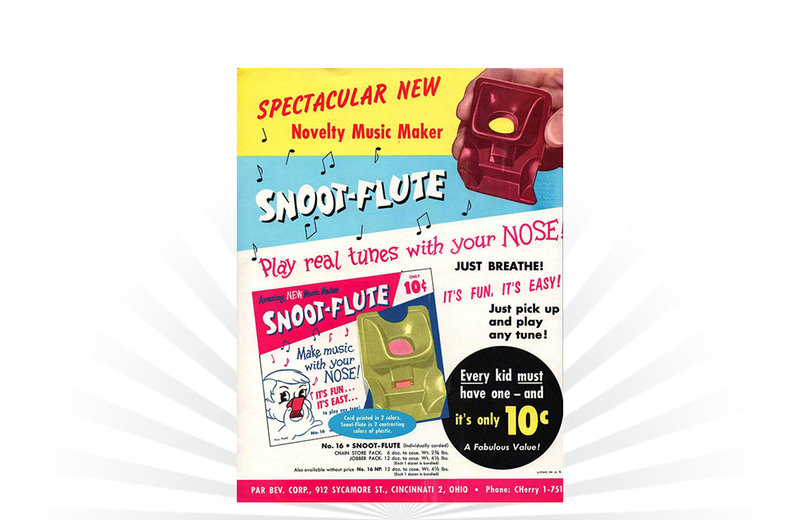 With a price-tag of $0.10, the Snoot-Flute was marketed by Par Bev. Corp. in the 1940s. The founders of the company, Albert, Phil, and Joseph Steiner eventually went on to form Kenner Products. The rest, as they say, is history!